Over the course of a year, two competing teams have addressed a crucial question: How can Sweden reach zero emissions of greenhouse gases in the infrastructure sector by 2045? 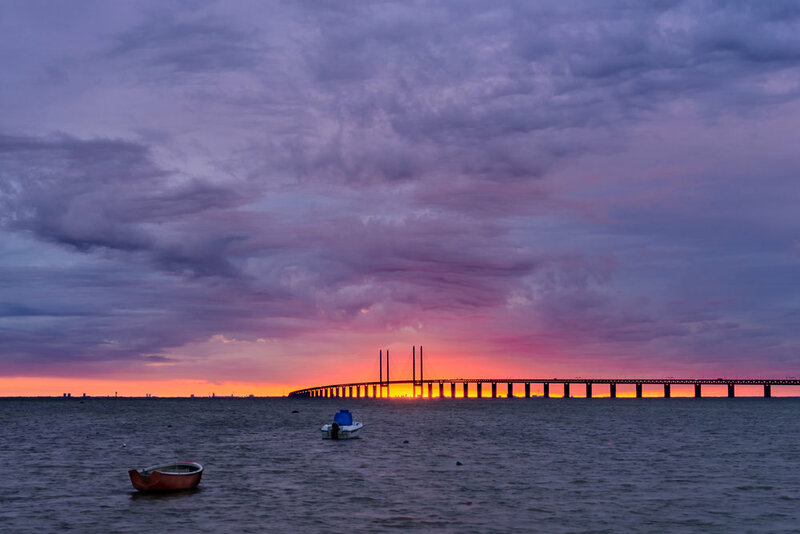 To that end, the Öresund Bridge is chosen as an illustrative case. The teams have consisted of representatives from the cement, steel and construction industry along with members from universities and research institutes. Martin Erlandsson, LCA expert at IVL and research fellow in Mistra Carbon Exit was part of the Blue team that won the category "Transformative Complete Solution for zero emissions" with a snake-shaped bridge, in climate-positive steel and concrete construction with honeycomb structure, which also saves materials and produces energy. A winning concept that reduces 304,000 tons of carbon dioxide from the atmosphere. - The biggest challenge is to suggest cross sectoral innovations that that is technical feasible but will not be realized in reality if the cost of emitting greenhouse gases do not increase drastically, says Martin Erlandsson, IVL and Mistra Carbon Exit research fellow. - We have illustrated how far we can reach by known technology, i.e. about 50%, and also indicate the need for policies to handle the increased costs when we take the next step to zero, or as illustrated here, a climate negative impact. The Swedish EPA has launched the contest to accelerate new solutions and promote innovation to enable the infrastructure sector to achieve the industry's – and Sweden's – environmental objectives. The competition was designed to generate several innovation concepts to achieve zero emissions of greenhouse gases. The work done will also contribute with related policy innovations and proposals for the realization of innovation. Another outcome is to assess the competition's unique collaborative form.